Picture 1 is the gym hall, building 666. Pictures 4 through 8 show what's left of the old airfiled and the hangars. According to my information, the airfield was discontinued late '40s as the later Rhein-Main Base started service. Apparently, the airfield was not part of the base anymore at the time you served. Any correction would be more than welcome. When I was there, the only airfield I knew of was German Luftwaffe. Our barracks were 2 story. Those look like from the refugee camp that was right behind our camp, past the JP4 tanks. When I visited in 93, it the camp changed greatly and was used for a truck plaza before being replace by an industrial park. Those are the buildings I remember. I was there from 86 to 88 and it all looks different that I remember it. I have some pictures somewhere. When I was there, the only gym was the inflatable one. I don't recall much about the old airfield, just that there was once one out there. ThanX for putting this up. It's great to see that someone else on the planet remembers the place. 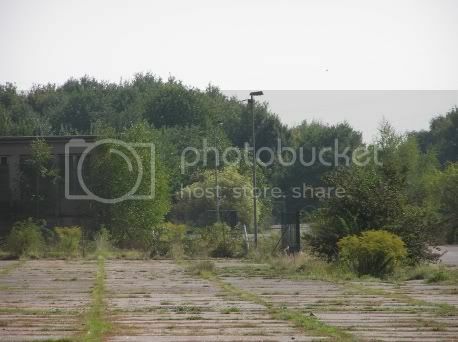 Regarding pictures in this set, I am positive that those buildings used to belong at some time to former Camp Eschborn. The airfield was used in the late '40 by USAF as an annex to former Rebstock airfield (before Rhein Main Base starting operation). Seems that the base was subject of several re-sizing throughout the time. I do not have more info regarding the size of Camp Eschborn. I believe the gym and the bricks building were added later on. What I can say is that both buildings (still) have the army identification tags (the one next to the gate is covered with painting, but still visible). On top of it, the door of the gym still has a sticker pointing out to US Army. I will search for this and post the image. 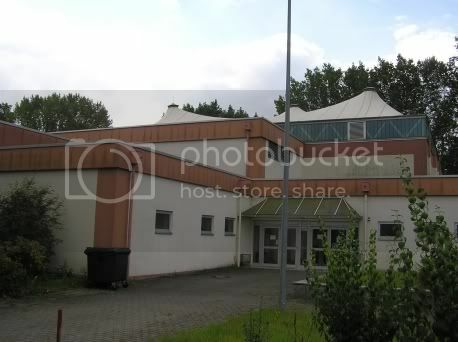 I am absolutely positive the pictures are taken in Camp Eschborn area. 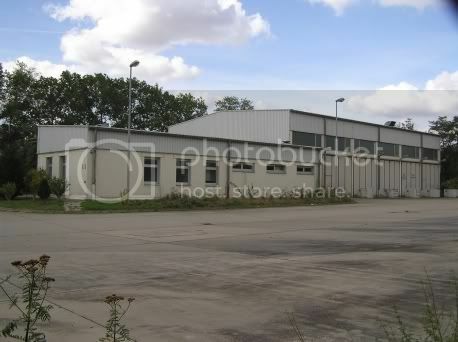 Unfortunately Atterbury Kaserne was completely teared down back in 2006... I did not have the chance to take pictures of it, nor of Betts or Motor Pool. I appreciate your memories on Camp Eschborn. Could you, eventually, mark on Google Maps the borders of the base as it used to be between '77 and '81 ? Wow! The lower left I never saw before, and theres a bulding smack in the middle of what was the motor pool parking area! 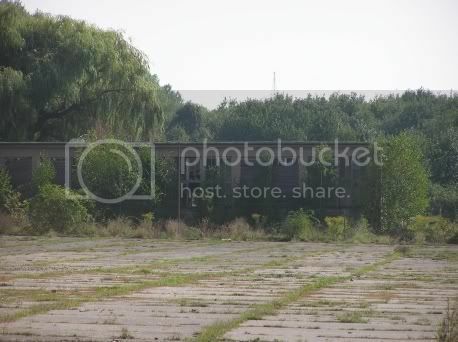 the ball fields gone, the quonset huts gone,they were are tool rooms. Those two white dots were jp4 and MOGAS tanks the road that is just south was the main drag. left of the tanks was a road that seperated the ball field and ran north and around the whole camp, going left castle club, HHQ co,A co,turn right Bco, C co, Mess Hall Was in Delta thats the blding north left of others with day room and CO's office north of it Across(south of those 2 tanks), that long bldg was batallion hq running left to right. left of that was the inflattable gym, south where all that green is was where the perimeter fence was. Right of mess hall down road was px. After looking at the satellite image I withdraw my post saying its not Eschborn, cause it looks like theres more to it than there was in 77-81. Maybe the southern part behind the old motor pool, and BN HQ had some older bldgs, but I definatly see some that were not there when I was in the camp section. What is interesting is that Sean Stephens - in his comment - does not remember the red building near entrance, even if he was stationed in the late period of Camp Eschborn. I would be very curious if anybody can help us to find out when the major improvements were made (new gym, 'red building', etc) and when the base was shrinked (according to the satelite image and the comment Carl made, the motor pool in the lower part was already converted to civil use by 1993. According to the historical sources, hand-over of the base between US Army and FRG was done in 1992, but the area did not run into any conversion until late 1999. I was stationed at camp eschborn from 87 till the end of 89 the new gym was built at that time replacing the blow up one that we used.Also a new headquarters building was built and it was red brick if i remember correctly.None of the barracks looked familir.They were 2 story buildings and painted a light color.There was also a new motor pool built across the road and i think new barracks were going to be built for the singars radio training area where the old S4 storage area was that we used to do some training with the tracks.Other than the picture of the new gym nothing looks familiar to me. Thank you for the information on date when new gym was built. Could you, eventually, provide me the Google coordinates for the new motor pool and for the S4 storage area ? The new headquarters building was red brick and completed in 88 as you came into the camp it was located left of the main drag down the camp.The new motor pool was completed in 89 and was across a road behind the old motor pool which is directly behind the new HQ building and shown in your photo.I believe that the old S4 storage area is the bottom of the photo.I was in Alpha Co. and the new gym was across the street from me to the right of our barracks.The old blow up gym was across the street to the left of the barracks.The new gym was completed in 89.The pictures of the barraks must be of the new training area that was being built when i left in 89 and is located in your photo to the left of what i believe is the new motor pool.If you have any further questions i would be happy to answer them if i can.I can be reached at desertrat1968@aol.com. Was the "A" Company supply clerk from 1973 to 1974. 1st Sgt Ronald D. Riley was our top sargeant - tough guy but was fair. The coolest sargeant had to Sgt. Slaughter who had the goon platoon (the druggies) - another hard-assed guy who was also about as fair as you could get. Those pics are definitely NOT of Camp Eschborn. 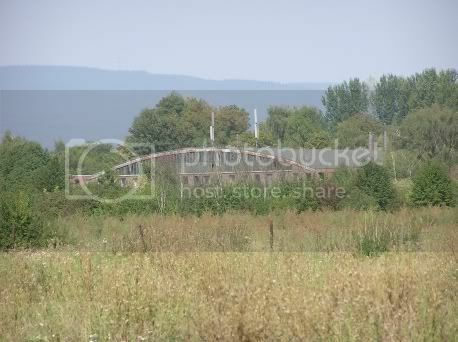 I was there in 1994 and at that time it was a refugee camp for the Bosnians. They had put up a few new buildings but nothing like you see in the pics. Can someone tell me how to post my 73-74 pics onto this site? If you want actually pics auf Bad Hersfeld (Mc Pheeters Barracks 14th ACR), please let my know! Thanks for posting this. C 317th '88-'91. I believe picture 2 was part of the old motor pool (vehicle dispatch just inside). The new motor pool and gym were built when I was there -- about '89 or so. I cleared some of the land that became the new motor pool (MOS 62J at the time). Bn. HQ, the red roofed building was brand new when I got there in '88 (LTC Rouse moved in -- interesting BC). The rounded hanger building and all the land around it was off limits when I was there. I believe the low buildings between the picture of the motor pool and hanger were used for the Bn. mail room, and for unaccompanied Sr. NCO quarters. I am not sure, but the building with the '10' over the door may have been used for storage when I was there. I remember picking something up from it on a supply detail. Again, thanks for posting, was great being 18 and at Eschborn. Thank you for the info. Helps me rebuilding the outline of the old Camp Eschborn. It is the first time I get a confirmation that the buildings between the motor pool and the old hangar were - at some moment in time - part of Camp Eschborn. 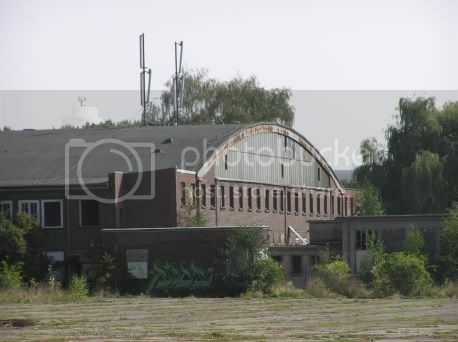 The architecture clearly looks like military, but various people who served in Camp Eschborn mentioned them belonging to the refugee camp and outside the boundaries of the base. I was there from 87-89, the new HQ Motor Pool, and Gym were built while I was there as was the cement work for the parade field. I was in Charlie Company and remember the place well... including the refurbished half track Rouse had in front of the HQ! Man was he proud of that thing! He also climbed out his on occasion to "fix" soldiers head gear! Anyone remember the name of the main post in Frankfurt? Was it the Abrams complex? Wow - great pictures - I was stationed there from '86 to '90 - the place lookes completely different. I still remember pulling a lot of guard duty - walking the perimeter of that motor pool. I think they used the Camp for refugees after they closed it. - If I remember right, they still hadn't completed that new fancy wash rack they promised us for years. Me too, C Co. 76'-77', Lots of fun, and long walks to get a beer. too bad its all gone now. I have some pictures that I took over the weekend of the 4th of July of Eschborn and other locals about Frankfurt and Fulda. 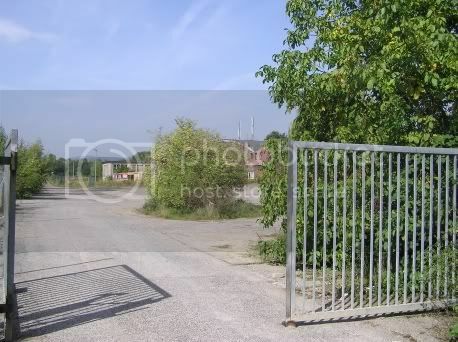 The area has changed around Eschborn since your photos here. I have some pictures of the Old Battalion building that still have the parking labels on the curve for the CSM, Battalion Commander ect ect.. I see I can not leave my e-mail so let me know if you want me to send them too you. 1st pic: Building still existing, unused. 2nd pic: Building still existing, but is now used as conference room integrated at the new build http://www.io-hotel.de/index.php . 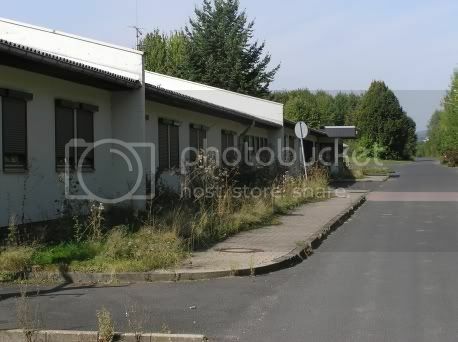 3rd pic: Buildings used by http://www.obermayr.com as Kindergarten, Schule. Other pics show the old Fliegerhorst, unchanged since then. I was there from 89-91 in Charlie Co. 2nd squad. I was stationed at Camp Eschborn from 1990 until base closure.It,s pretty depressing because I had the best times of my life at that base. I remember Eschborn, late 70's. I worked in the little bookstore next to the snack bar for awhile. My band used to play at the NCO Club from time to time because one of the guitarists was stationed there. I lived in that highrise just up the street...sixteenth floor, baby. I remember Eschborn in the late 70's. I lived in the highrise just up the street for three years, and even ran the little bookstore next to the snack bar for awhile. My band played in the NCO Club three different times, and packed the joint every time. One of the guitarists was active-duty and stationed there at Eschborn. Oh, yeah, remember it very well. Good times. I was stationed at Eschborn the first time '65-'68 about a year after they moved over from Hochst Kaserne. We planted the trees that completely encircled Camp Eschborn. We lived in 3-story buildings and there were originally 4 line companies, the HHC and an ADM Platoon. NCOs had a BEQ in a 2-story building near the mess hall and the boiler plant. Mt second tour was in '71-'73 in A Co as sqd ldr and then Trng NCO, worked with ISG Riley. I recognize the motor pool building and the old barracks, but we never had that greaat gymnasium. Also worked as civilian with the 317th XO that closed out Camp Eschborn. Returned in 2002 and found nothing left except the trees we planted. GUY FROM CAMP...PHÖNIX... IN SEBTEMBER 1965. From the mid 70's i had a lot of friends from Camp Eschborn. They always came to Lilo's Dicothek in Zeilsheim on weekends. One guy i remember well was called " Cowboy " . Does anybody remember him. We always had a lot of fun. My name is Roland and i still live in Zeilsheim. My name is Brian Rivers, I was staioned at Camp Eschborn from 1988 November tii it was given back to the German Government. I was in HHC and worked in the Motor pool with 1st SGT.Obie Wicker, SFC Kirkland and SGT. Ostrander,SGT. Banabe, SPC Thompson, SPC Shaw, and the Spc. Ader in the video footage, I would like to here from any of them, anyone reading this can reach me by my E-Mail, brianrivers47@yahoo.com, Oh the new brick GYM was built in 1991. Hey looking for James Grosskoph, Jim Bird, Zorich ,Stepanovich A Company 75-77 this is Sheldon Morin. Larry Reiger,Edward LaPlante,where are you? HOW ARE YOU?